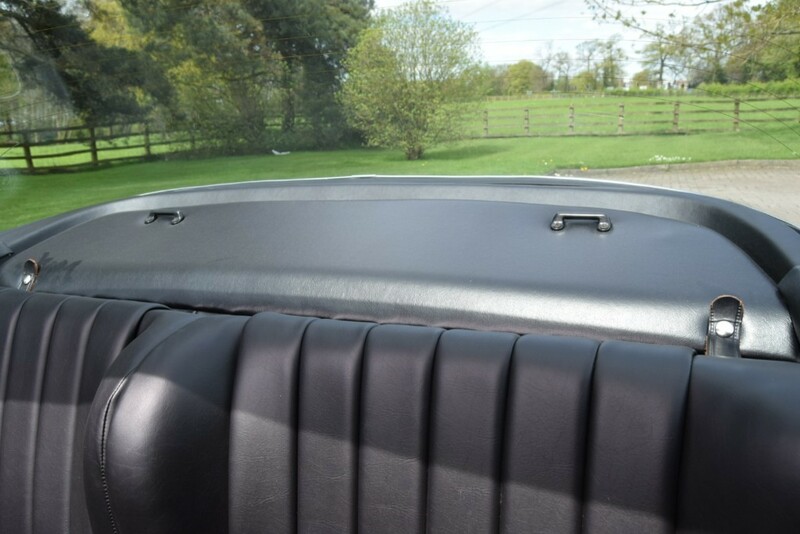 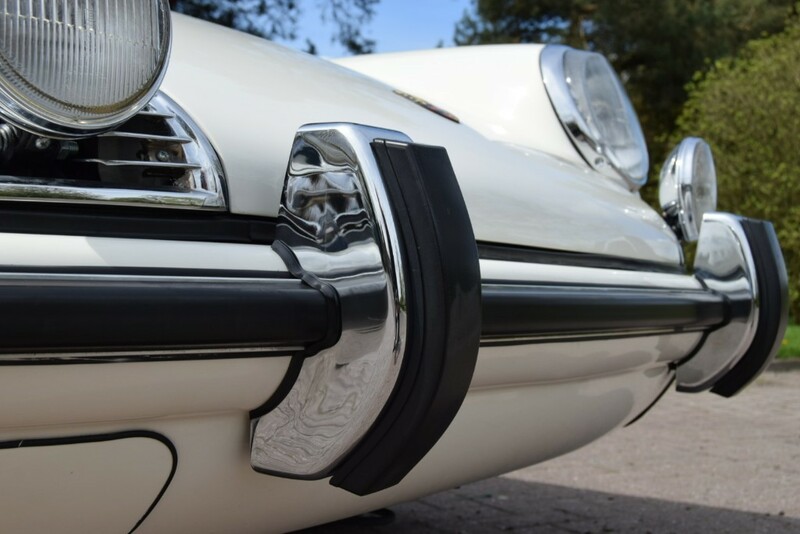 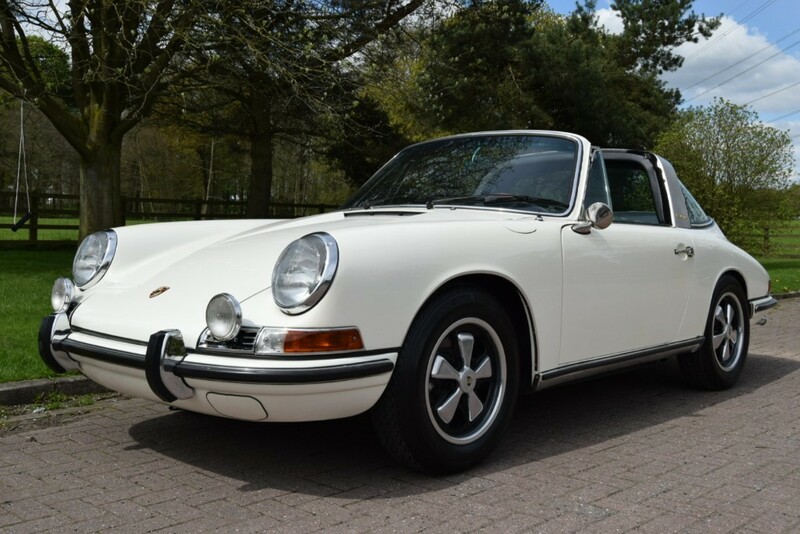 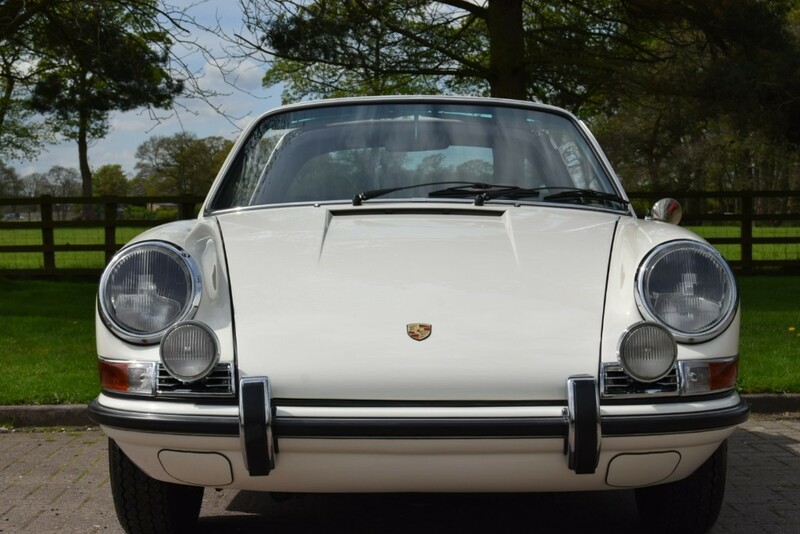 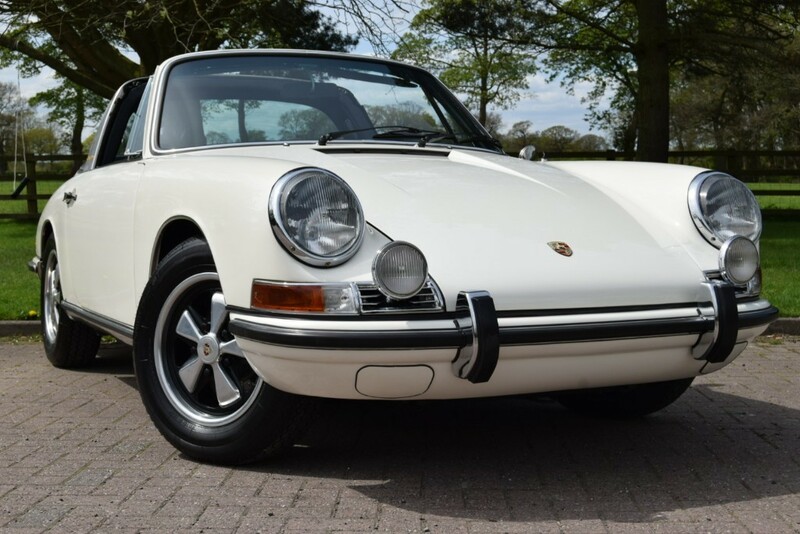 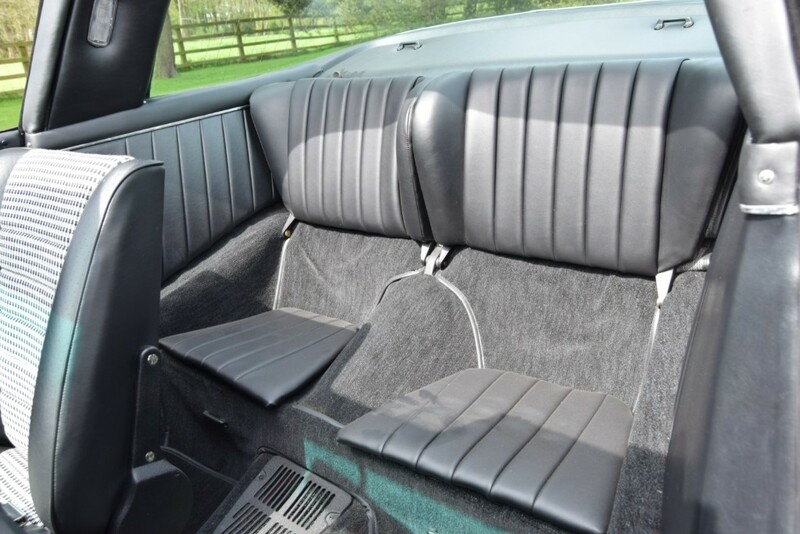 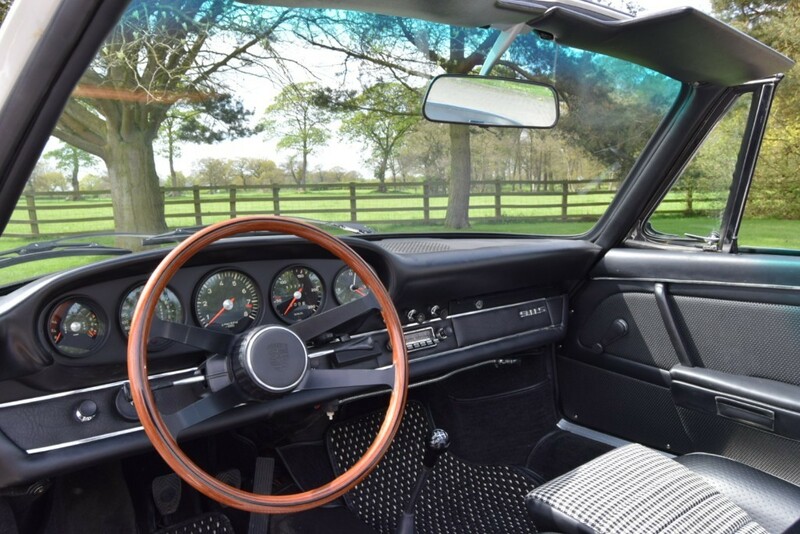 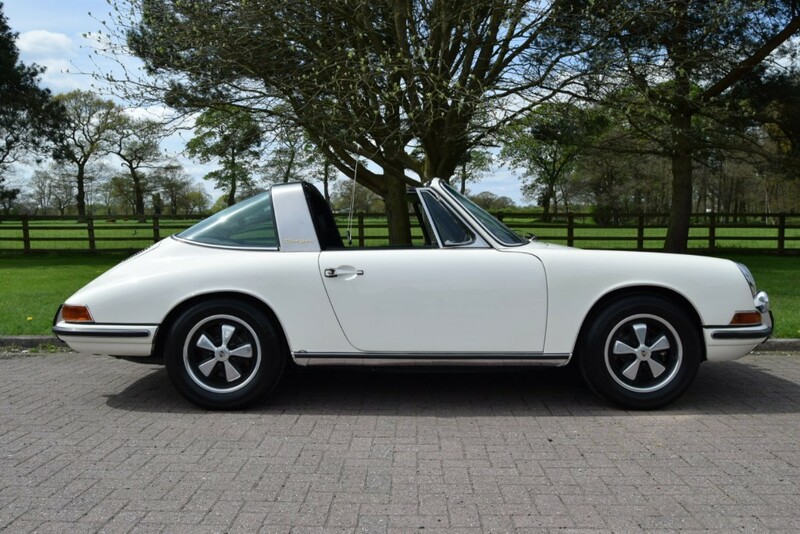 Mereside are delighted to offer this very RARE EURO SPEC 1968 911 S TARGA ONE OF 442 BUILT. 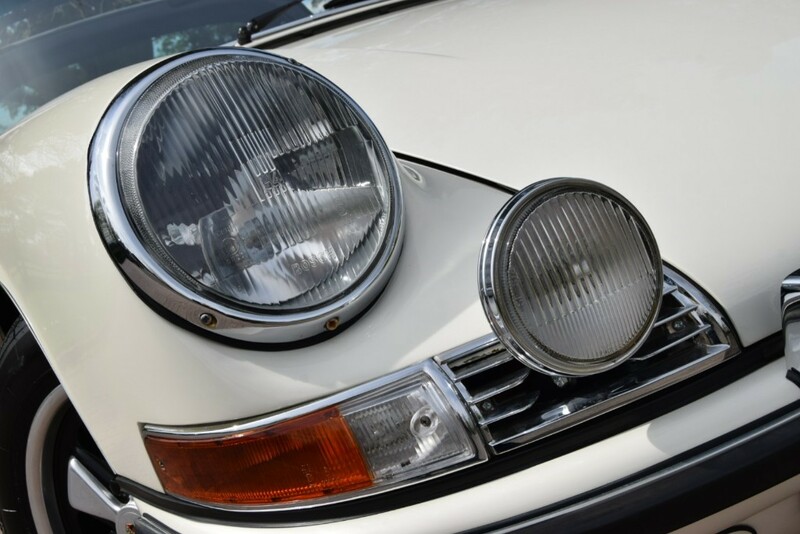 When Porsche rolled out its 1968 model line, it faced a daunting problem: new U.S. safety and emission standards. 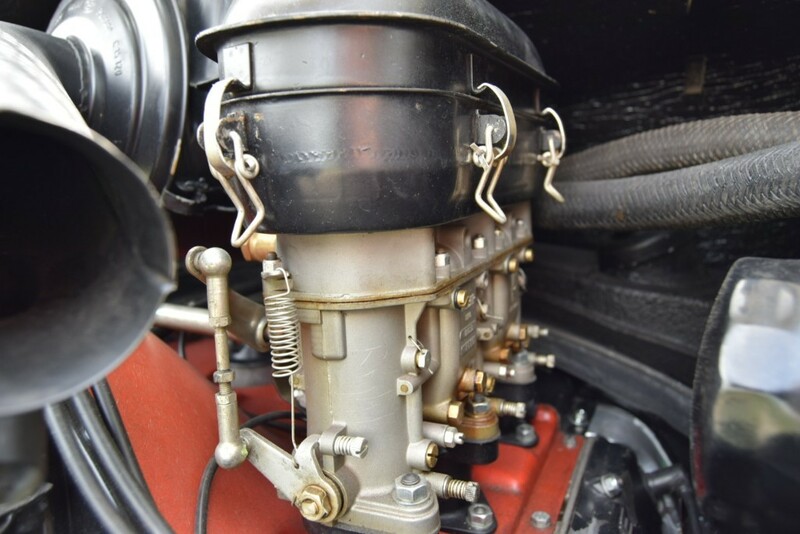 The “S” engine from 1967 was a high-performance motor in all respects. 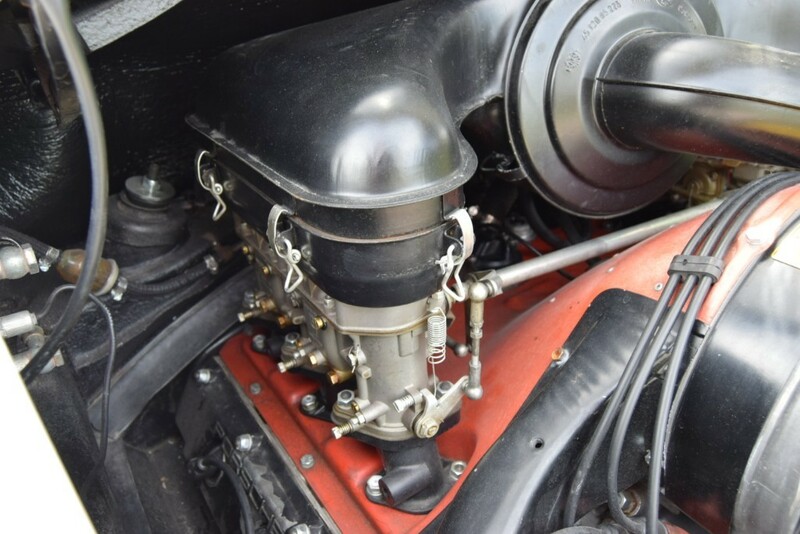 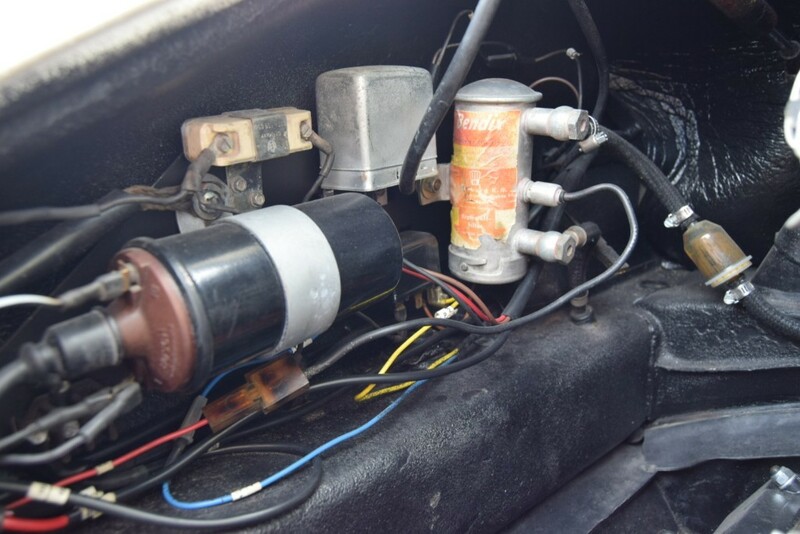 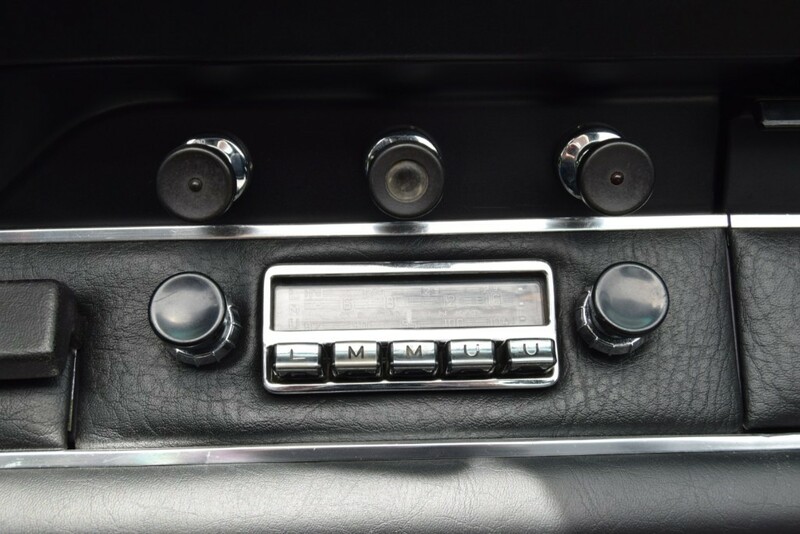 With high-compression forged alloy pistons, forged and nitrided connecting rods, large valves, and big Weber triple-throat carburettors, it produced a healthy 160 horsepower. 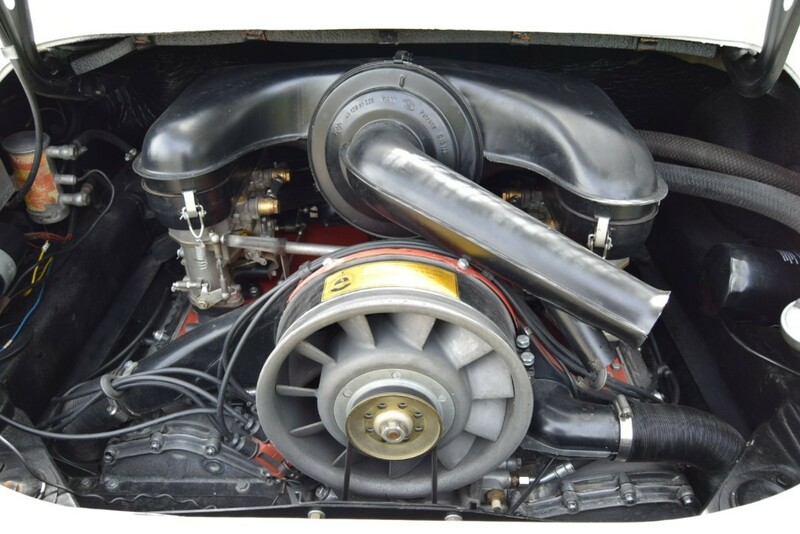 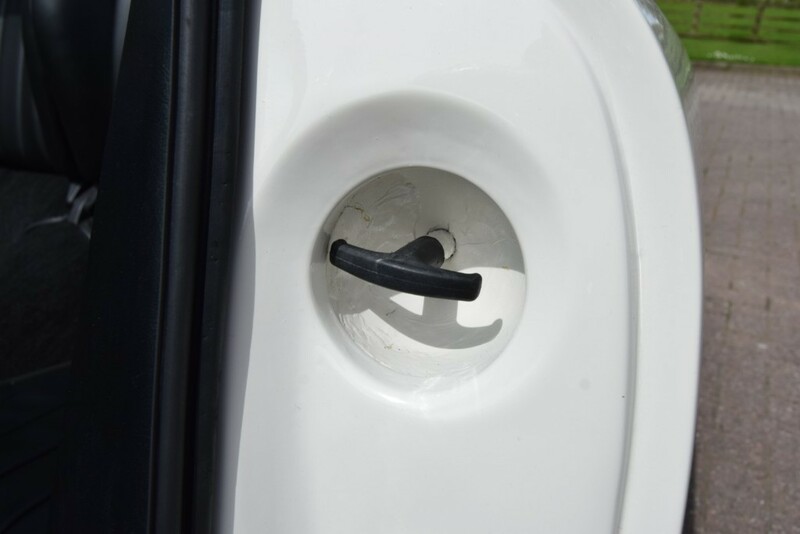 Porsche soon realised that this motor would probably not comply with the new U.S. emissions standards without additional development. 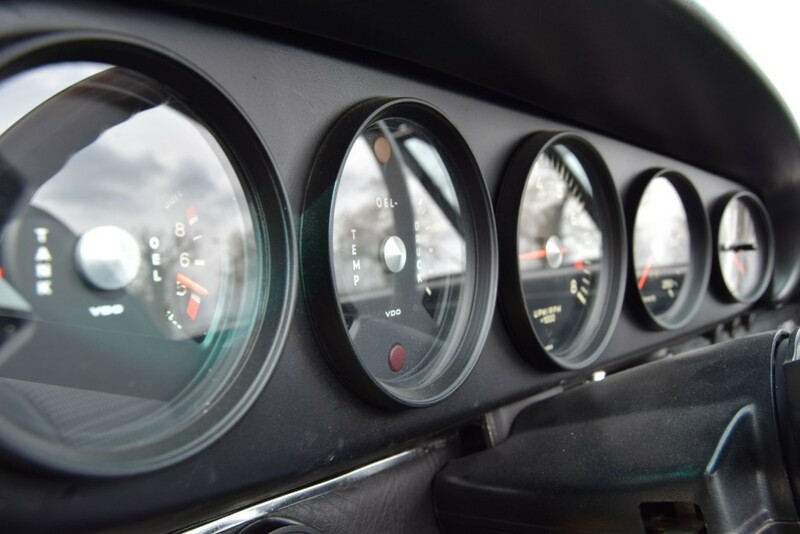 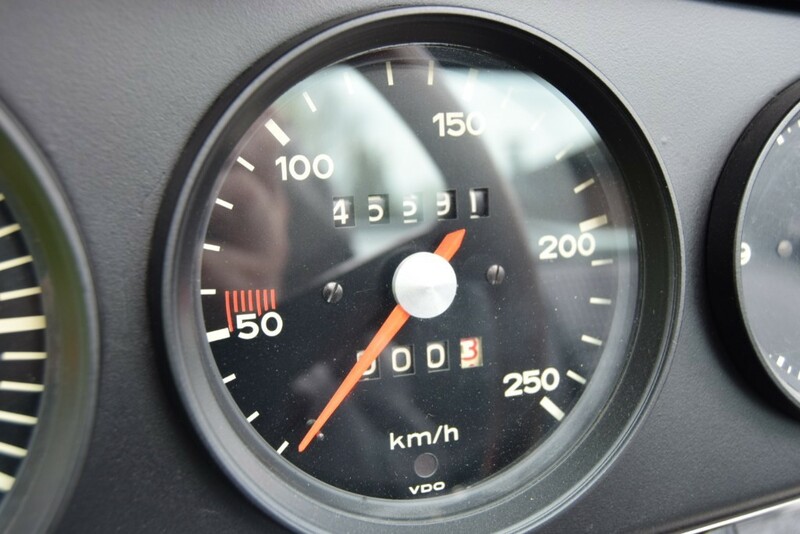 Careful tuning would eventually resolve that problem, but Porsche did not have time to establish those procedures in time to allow delivery of the new 911 S to its most important market and could not risk shipping new cars that it could not legally sell. 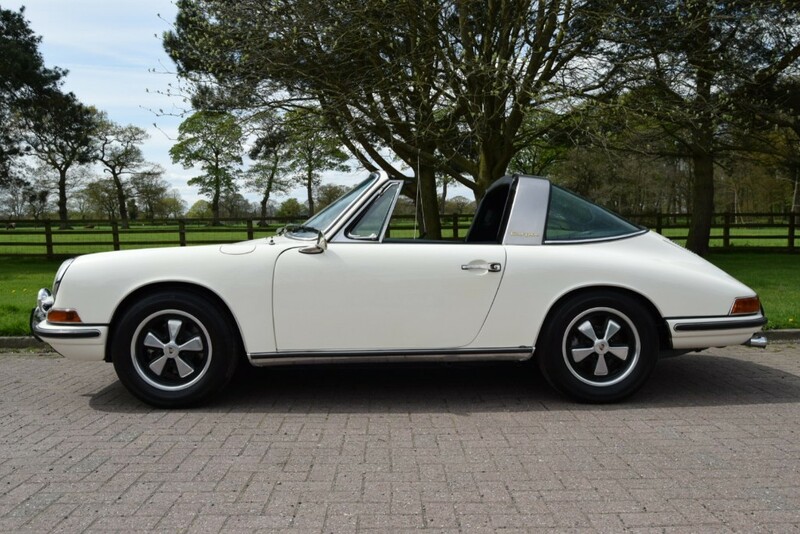 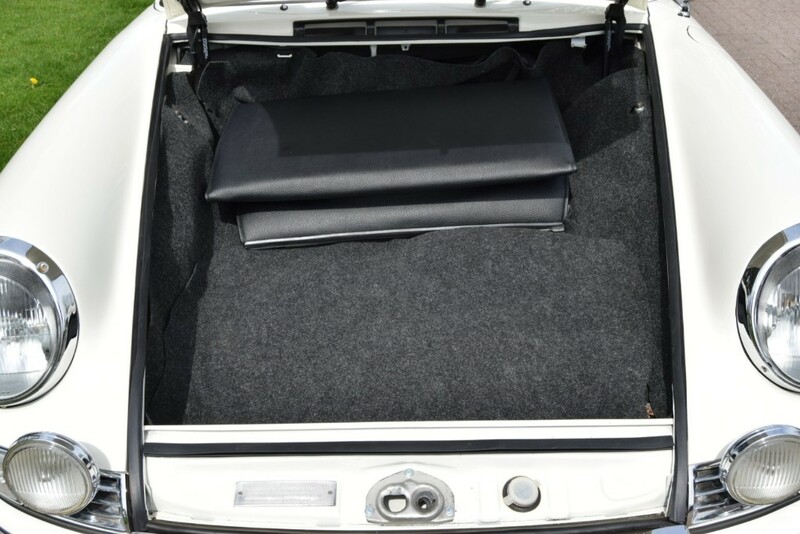 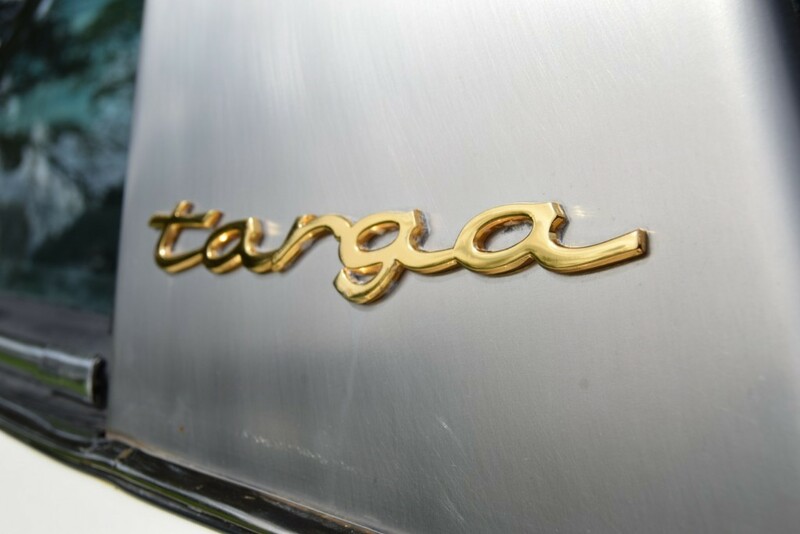 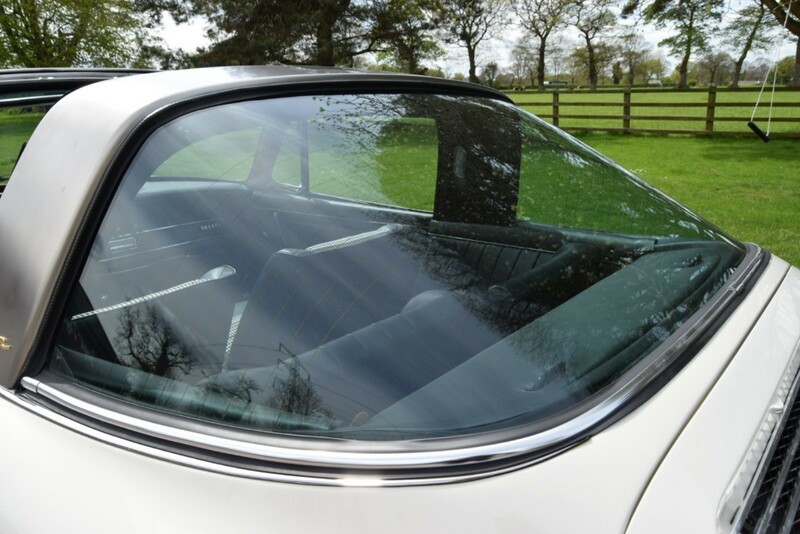 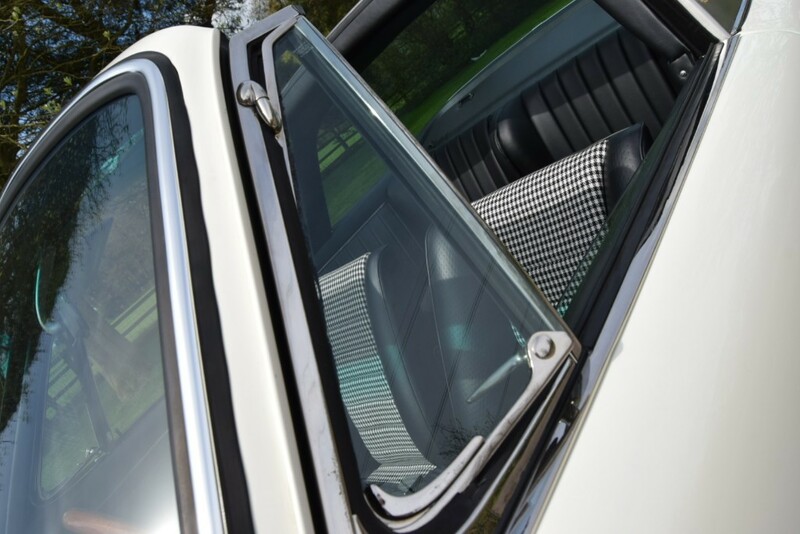 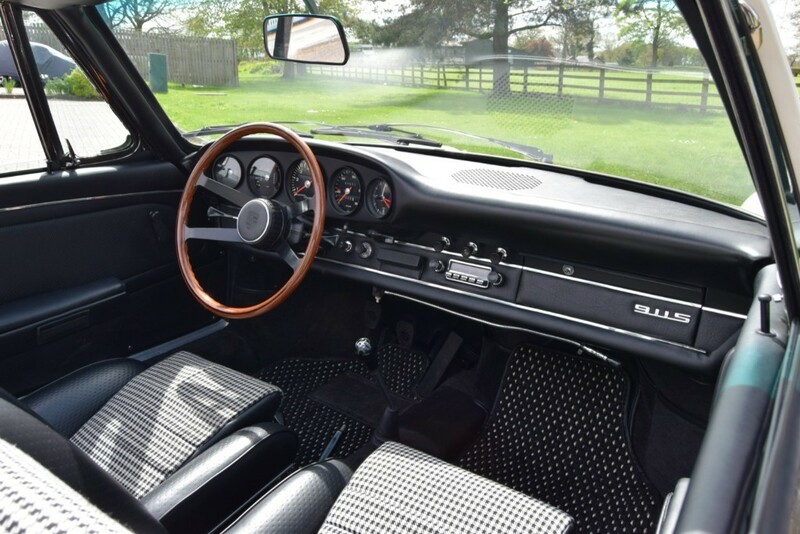 The 1968 Porsche 911S Targa offered here is finished in gorgeous Light Ivory with a beautiful black interior featuring pipit cloth inserts. 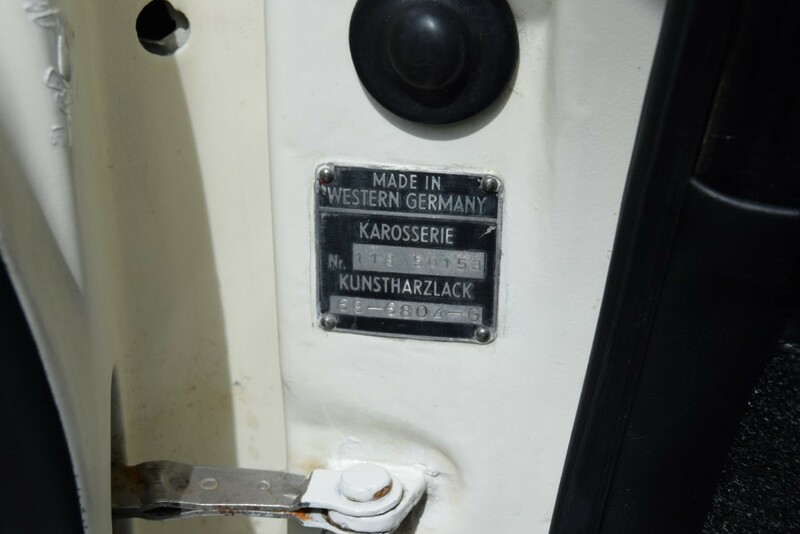 This incredible 911S has spent most of its life in Southern California after being delivered in Germany originally. 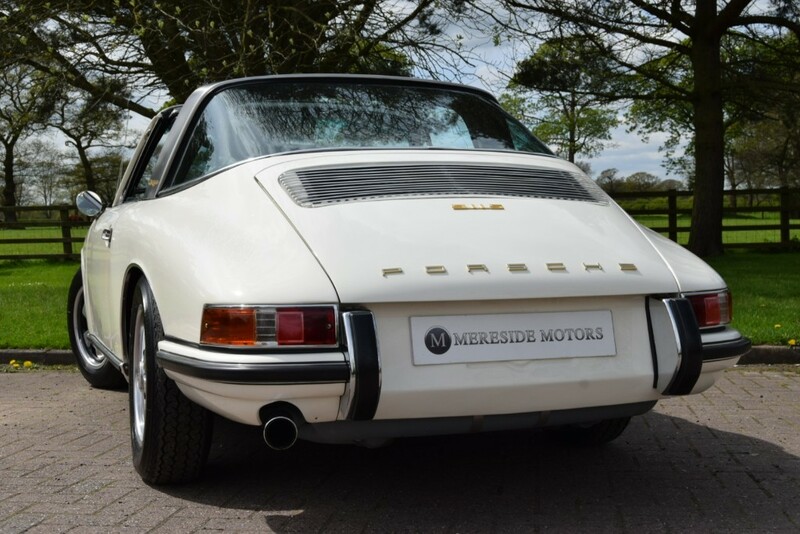 One of only 442 built, this rare and desirable Euro Spec version 911S still retains its matching numbers engine and transmission. 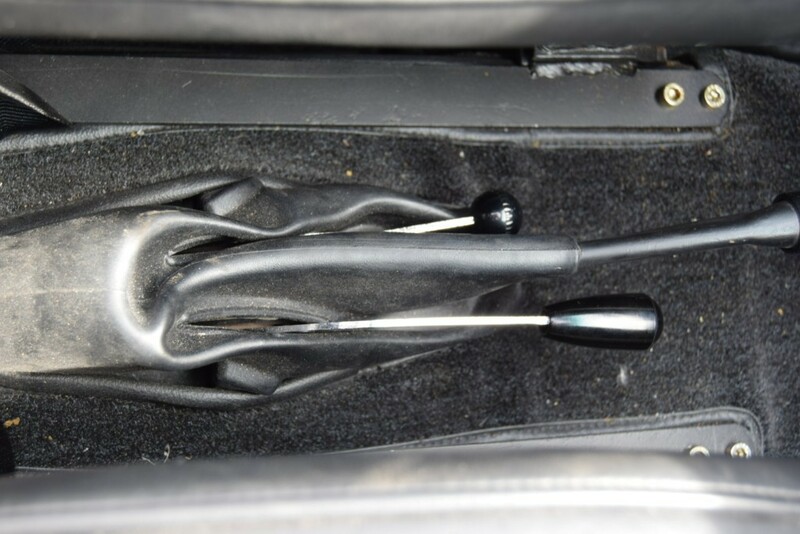 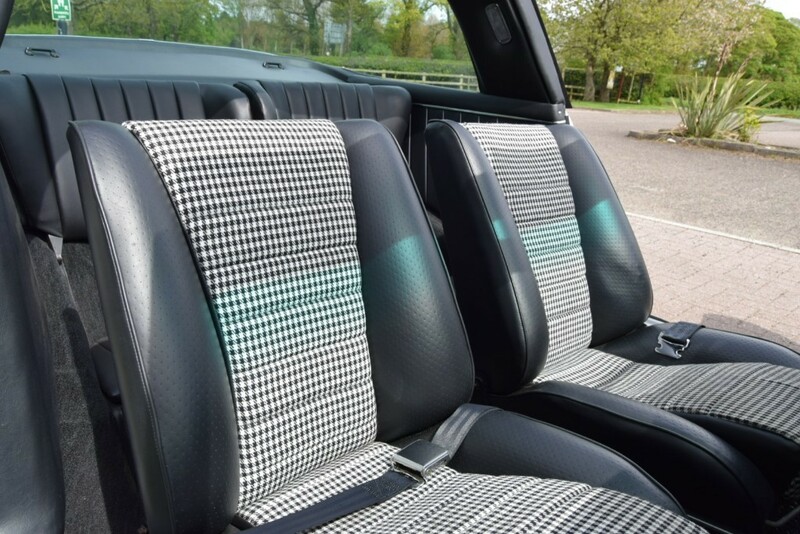 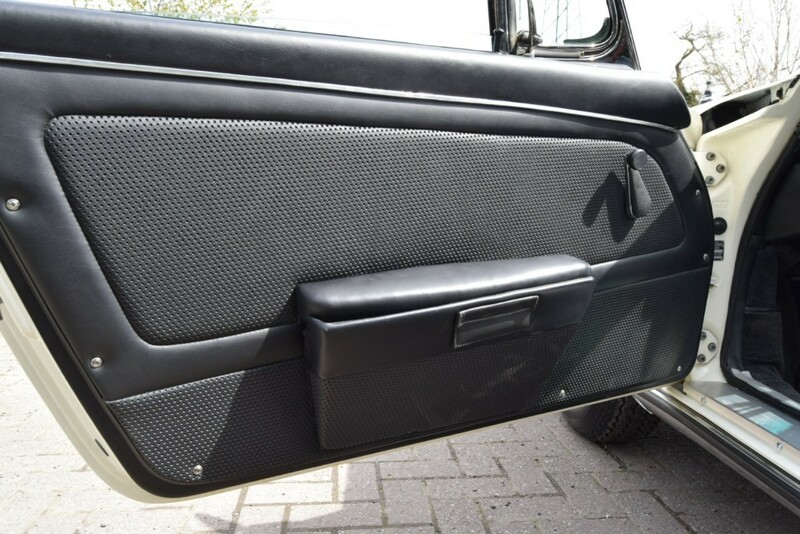 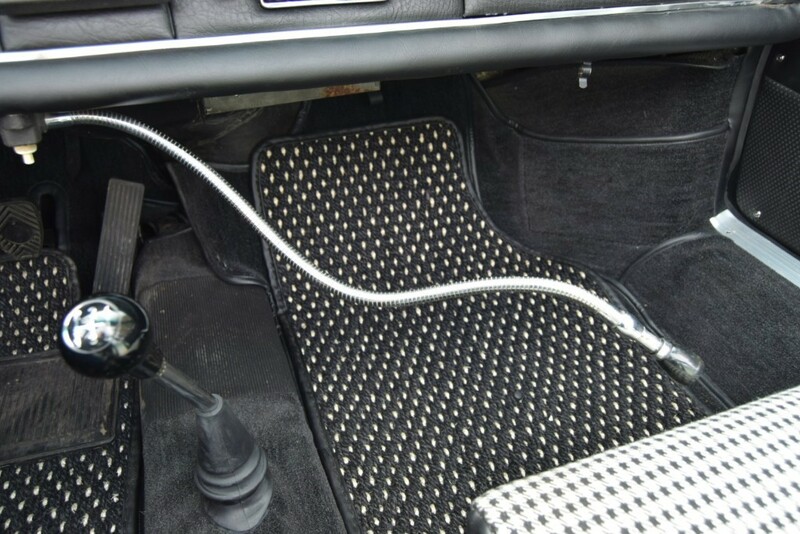 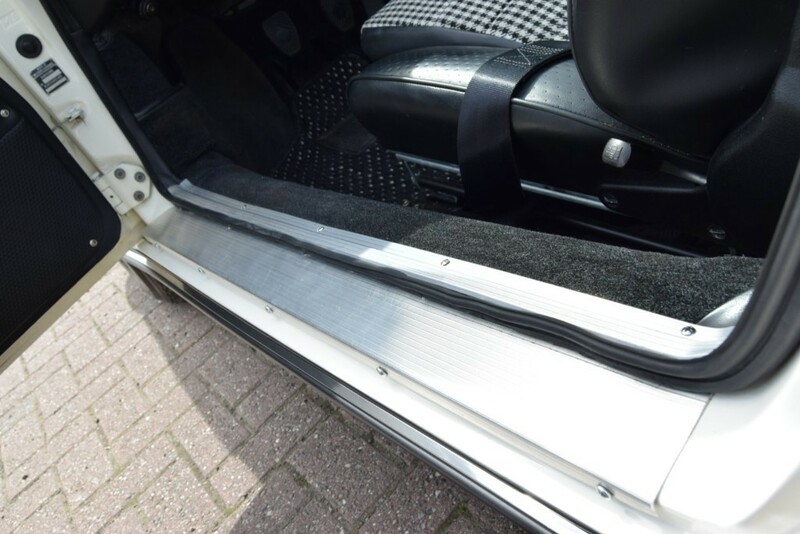 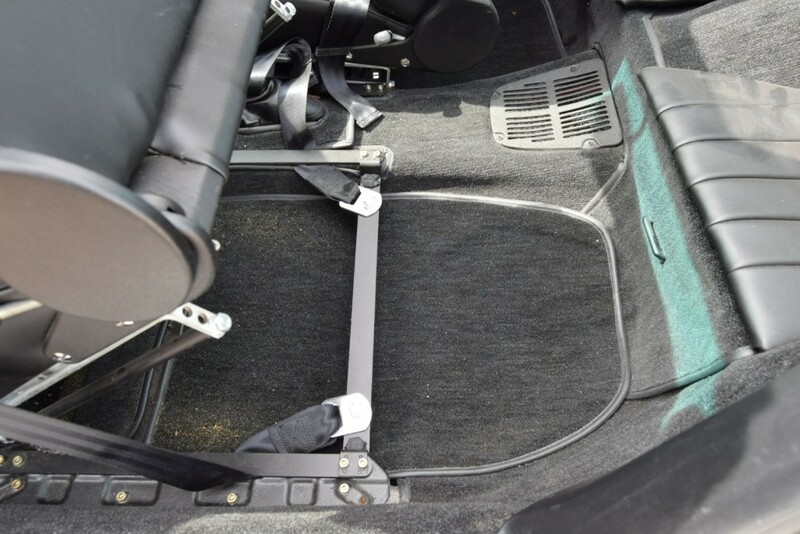 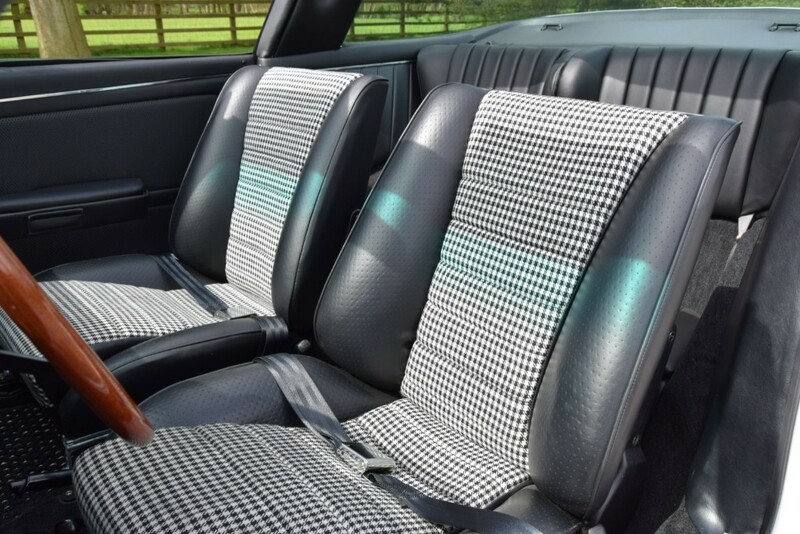 It is finished in its factory correct colour combination and is accompanied with a Porsche Certificate of Authenticity, owner’s manual, dealer books. 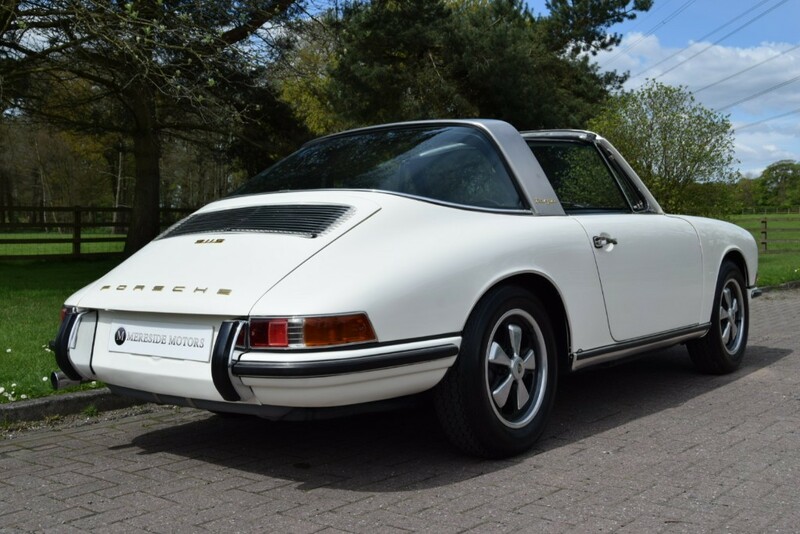 • BELIEVED TO BE 28,326 ACTUAL MILES! 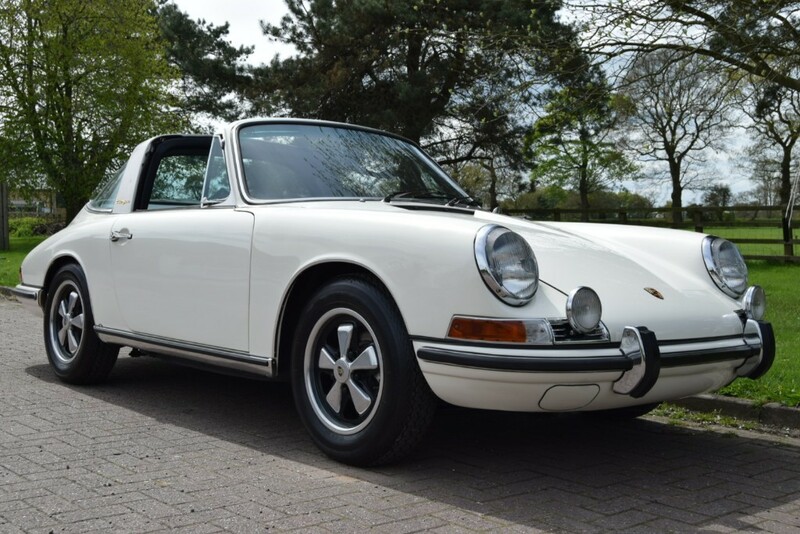 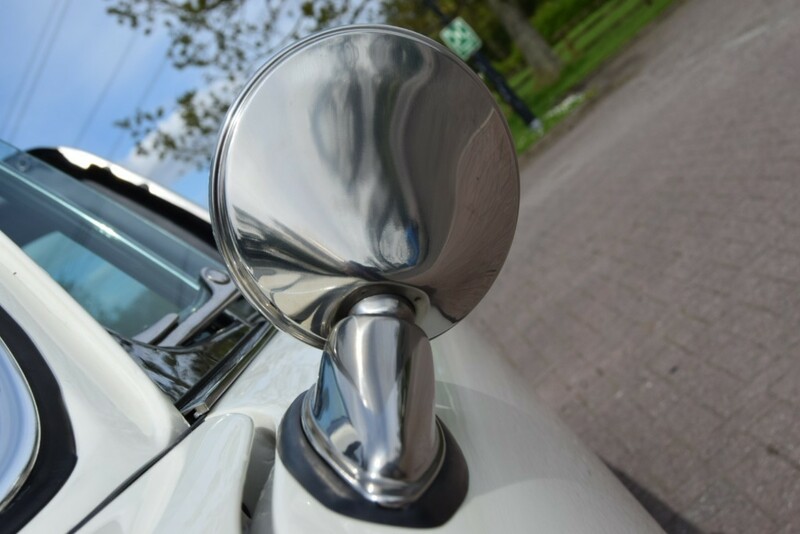 • SIMPLY ONE OF THE BEST EXAMPLES OF THE ICONIC MODEL AVAILABLE ON THE MARKET TODAY! 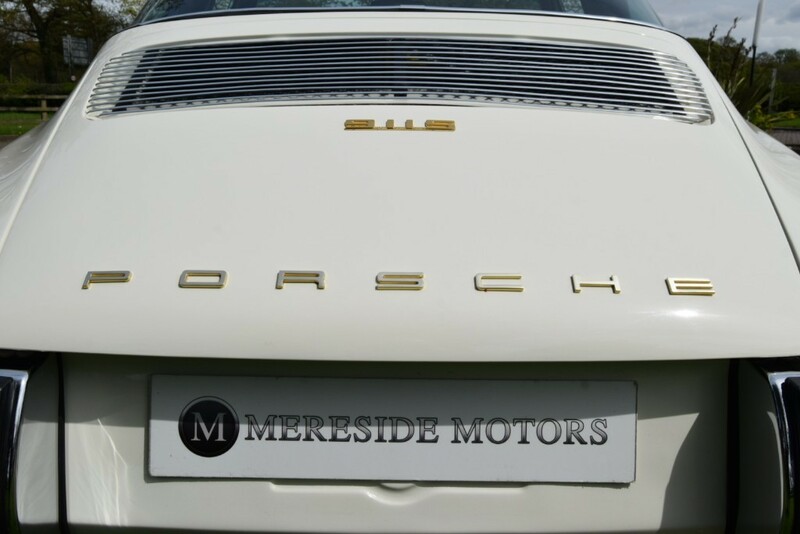 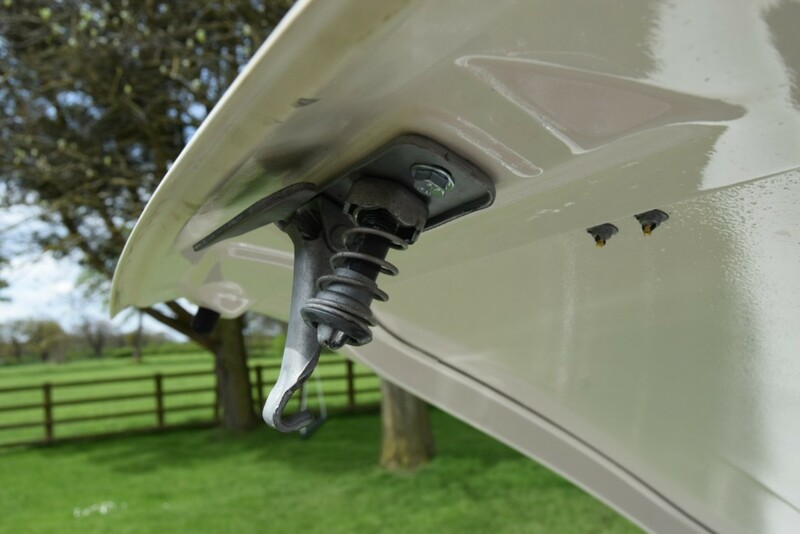 We have a team of buyers who hand pick our cars from all parts of the UK so you can buy with confidence all vehicles are HPI Clear and prepared to the highest standard, full dealer facilities available call the sales team for further info.